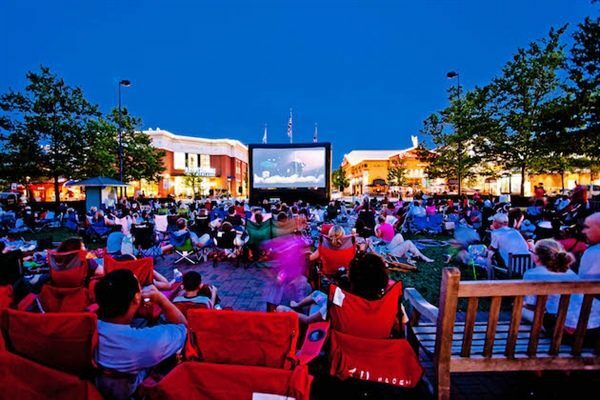 100 Things To Do In Ohio This Summer - Ohio. Find It Here. 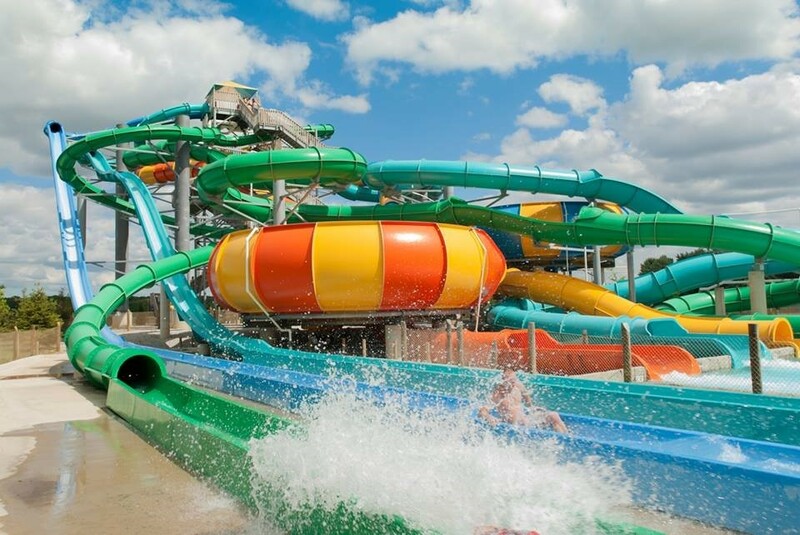 Summer is almost here and there’s no better time to head out and find your new favorite Ohio adventure with friends and family. We are bringing you the top 100 things to do in Ohio this summer to keep you playing all season long. Get out and explore and be sure to share the memories you make with us using #OhioFindItHere. Hit the Trails – Explore Ohio’s Adventure Trails highlighting unique experiences based on your interests! From wine to aviation there is an Adventure Trail for every type of explorer! Click here to begin. Swing with the Pros at the Memorial Tournament in Dublin May 31 – June 3. Catch a Game with Major League Baseball teams like the Cincinnati Reds, the Cleveland Indians or Minor League teams like the Columbus Clippers and the Toledo Mud Hens. Fly high at the Coshocton Hot Air Balloon Festival June 7-9. Click here for more information. Attend an Outdoor Concert at Blossom Music Center in Cuyahoga Valley National Park, Express Live in Columbus or Riverbend Music Center in Cincinnati. Win a Banana Split Eating Contest at the annual Banana Split Festival in Wilmington – the debated birthplace of this delectable treat – June 8-9. Strut your Stuff in a Duck Tape Fashion Show during the annual Duck Tape Festival in Avon June 14-16. Blast off at the Summer Moon Festival in Wapakoneta July 19-22 with activities ranging from a moon rock hunt to a rocket building contest. 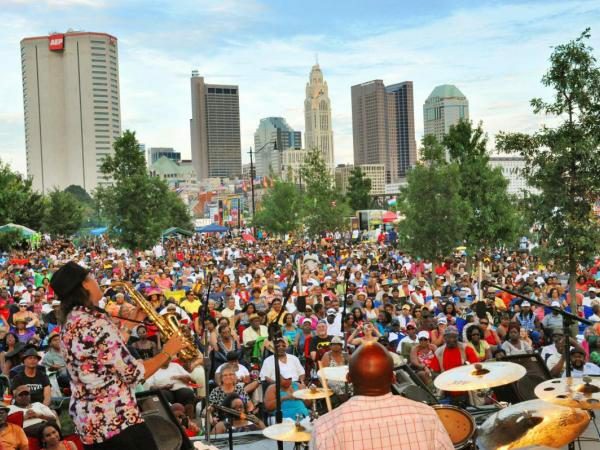 Enjoy Smooth Jazz and Savory Ribs at the Jazz and Rib Festival in Columbus July 20-22. Jam at Jamboree in the Hills in Belmont July 19-22. Click here for this year’s lineup. Make a Splash with an Amphicar at the Celina Lake Festival July 27-29. This year is expected to bring in the festival’s largest amount of these amphibious cars to date. P.S. – This is also featured on the cover of the Ohio Spring/Summer Calendar of Events. Get yours here! Paddle Ohio during the Ohio River Paddlefest in Cincinnati on Aug. 4 and join the nation’s largest paddling event. Click here for some other great paddling adventures. Celebrate Native American Culture at Tecumseh! Outdoor Drama showing all season in Chillicothe. Click here for more information. Prepare to be Entertained at one of Ohio’s great venues for dinner and a show. Gain Appreciation for the Swiss at the Swiss National Day Celebration in Switzerland, Ohio August 4. See double at the Twins Day Festival in Twinsburg, the world’s largest gathering of twins, triplets and other multiples during the first weekend in August. Listen to the Sweet Strains of Live Bluegrass Music at the Ohio Valley Opry in McConnelsville. Feast Your Eyes on Vintage Cars at the Cambridge Classic Cruise-In August 18. This year, over 2,000 antique automobiles are expected to attend. Catch a Moonbeam as you fly through the trees on the Full Moon Night Zipline Excursion at Camp Kern in Oregonia. Night zips are held one weekend a month. 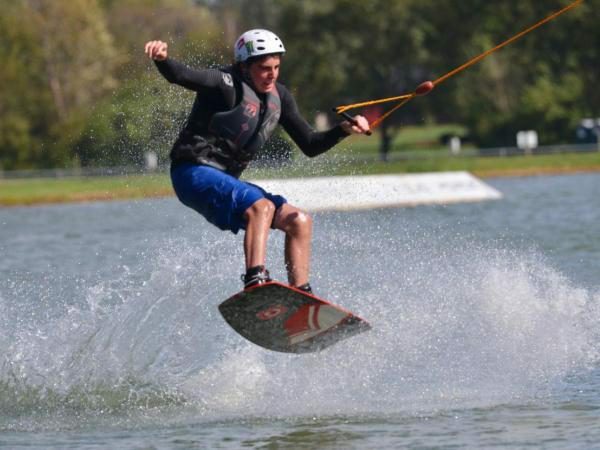 Wakeboard Like a Pro at Wake Nation in Cincinnati – think snowboarding, but on the water. Get the Need, the Need for Speed at some of the top amusement parks in the nation like Cedar Point and Kings Island. Click here for more! Walk Among the Tree Tops on the canopy tour at Holden Arboretum. The Murch Canopy Walk is a 500-foot long walkway suspended 65 feet above the forest floor while the Kalberer Family Emergent Tower provides breathtaking views from 120 feet in the air. Break the Speed Limit (legally) – learn to drive a high-performance racecar at the Mid-Ohio Driving School in Mansfield. Get Your Climb On at Scioto Audubon Metropark in Columbus – the largest free outdoor climbing wall in the country. We love it so much we put in on the cover of the Ohio Travel Guide – get yours here. Journey Below the Earth’s Crust and mine for gems at Ohio Caverns in West Liberty. The caverns are a great place to beat the heat since they remain a constant 54 degrees. Voyage through Lost Shipwrecks in Lake Erie which has claimed more ships than any other Great Lake due to its shallow depths. For those who can or wish to learn to scuba dive, a treasure trove of shipwrecks await. Wish Upon a Star as it streaks across the sky at Observatory Park (a “Dark Sky” designated park with an observatory) in Geauga County. The Perseid Meteor Shower is expected from July 17-Aug. 24 with peak viewing Aug. 11-13. Bike Aboard! Take the family or some friends out for a cycling adventure on the Ohio & Erie Canal Towpath Trail through Cuyahoga Valley National Park. When little legs give out or you get too warm, flag down the train for a ride back. Search for Fossils at Caesar Creek State Park near Waynesville. The trilobite is Ohio’s state fossil and a highly prized find! Be sure to stop in and get a permit from the Army Corps of Engineers at the park, then you can hunt away. 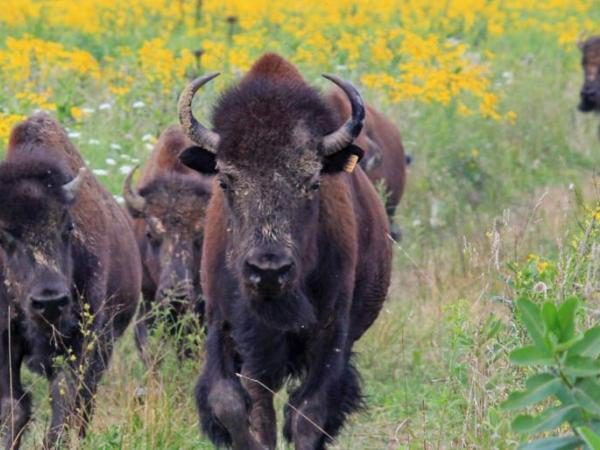 Roam with the Buffalo at Battelle Darby Creek Metro Park in Galloway (near Columbus). The park covers more than 7,000 acres of forest, prairies and wetlands. Bison were reintroduced to the park and roam freely within two pastures. Camp Retro-Style with Route Fifty Campers in Cincinnati. Rent one of three vintage-style campers to transport you back to the glory days. Patrol the Painesville Pier – a new addition to the Painesville Township Park, part of Lake Metroparks near Cleveland. Pedal Ohio’s Beautiful Countryside and experience small towns on a new level during the GOBA (Great Ohio Bicycle Adventure), a six-day bike tour kicking off June 16 in Delaware. Take a (Guided) Hike in Highland’s Nature Sanctuary with Naturalists along one of the area’s most popular trails, Barrett’s Rim on June 2. Play one of Ohio’s Championship Public Golf Courses like The Virtues in Nashport or Little Mountain in Concord. Giddy-Up on Ohio’s Equestrian Trails. Click here for a full list of equine trails in Ohio’s State Parks. Sail Away in Lake Erie’s Put-in-Bay area, one of the most popular sailing ports in Ohio! Experience the Ice Age on Kelleys Island at glacial grooves park. The grooves were created by a massive glacier that created the Great Lakes and Lake Erie Islands. Feel Like a Kid Again at the Ohio State Fair! From champion livestock shows and all your favorite fair foods to art and sports, you can find it at the fair in Columbus from July 25-August 5. Go on Safari at The Wilds in Zanesville in an open-air vehicle traveling among free-roaming animals ranging from zebra and giraffe to rhinos, scimitar horned oryx and plenty more. Enjoy a Drive-In Movie with the kids in their PJs and a big bucket of popcorn at the Sundance Kid Drive-In near Toledo. Ohio is a top-five state for drive-in theaters – you can find more here. Watch in Awe at Firework Shows this Independence Day! Check out our list of some of the top displays in the state! Shop ‘Till You Drop at Easton Town Center in Columbus. Use our guide for suggestions on where to eat, play and stay! Do the Indoor Shuffle at these indoor shuffle board locales in northern Ohio. See Where Airstreams are born – take a tour of the Airstream factory in Jackson Center where you can peek inside this iconic American manufacturing business. Tours are available Monday-Friday afternoons! Click here for more Ohio-made products. 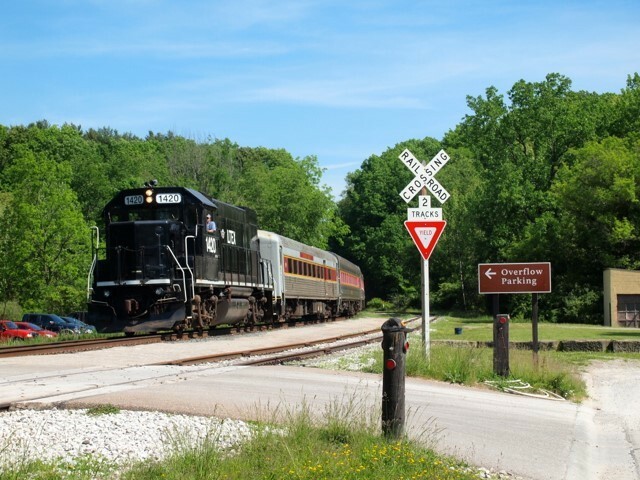 Take a Train Ride on one of Ohio’s many family friendly railways like this one in Nelsonville or this one in Lebanon. Find Ohio’s Covered Bridges. Drive through Ashtabula county, the covered bridge capital, to find their 19 covered bridges! Cozy Up with a Bonfire! Here are some of our top destinations for the perfect family bonfire. Bring the entire family, including Fido at dozens of Ohio’s dog friendly destinations. Visit an Auction in Ohio’s Amish Country. Be sure to stop at the Amish & Mennonite Heritage Center to learn how to immerse yourself in the culture while traveling the area. Expand your knowledge at the world class Toledo Museum of Art. While you’re there, be sure to check out the extensive collection of glass works. Immerse yourself in the sounds and spirit of the greats at the Rock and Roll Hall of Fame. Be sure to check out the new Power of Rock experience while you’re there. 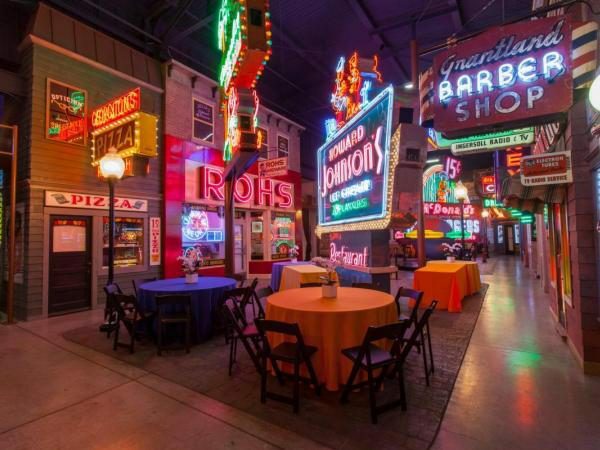 See Neon Lights at the American Sign Museum in Cincinnati – the largest public collection of neon signs in the U.S. Stiff Arm the Summer Heat at the Pro Football Hall of Fame in Canton. Be sure to check out the annual Hall of Fame Game in August to see the Baltimore Ravens take on the Chicago Bears! Find over 2,000 works of art at the Tiffin Glass Museum and Shoppe. After you’ve browsed the exhibits, head next door to pick out a piece to take home with you. Road trip to find Ohio’s painted Quilt Barns and learn the history behind this unique movement. Find where Art Meets Nature at Topiary Park in Columbus – a topiary garden that replicates the famous work by George Seurat, A Sunday Afternoon on the Isle of La Grande Jatte. Marvel at the Handmade Wonders at Warther’s Carving Museum in Dover, then browse the button collection and observe knives being made. Explore the Amazing Floodwall Murals in Portsmouth and Steubenville to get a feel for each city’s unique heritage and culture. 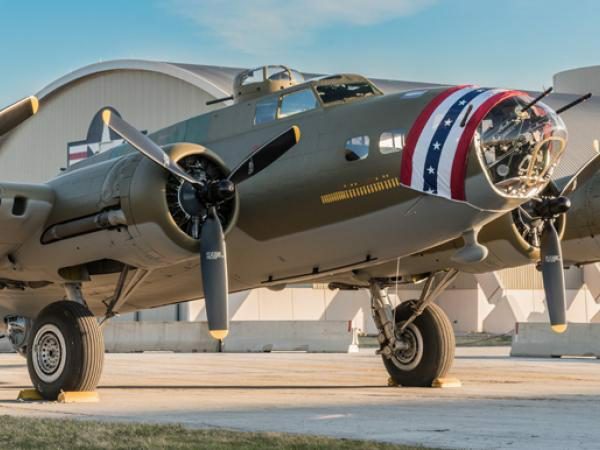 Fly through the Aviation Trail in Dayton which includes the National Museum of the United States Air Force featuring the iconic Memphis Belle. Space Travel to the hometowns of two of America’s most famous astronauts; John Glenn’s boyhood home in New Concord and the Neil Armstrong Air and Space Museum in Wapakoneta. Explore the Fascinating Remains and Earthworks at Serpent Mound in Peebles. Enjoy a Segway Tour through Historic Downtown Marietta highlighting the town’s historic homes, museums and parks. Learn about the Underground Railroad by traveling the 33 Stops of the Clermont County Freedom Trail – the largest Network to Freedom program in the United States. Visit Perry’s Victory and International Peace Memorial and be sure to explore the newly re-opened Memorial Column, a symbol of the U.S. victory over the British in the Battle of Lake Erie. Travel to the Top of the Great Lake’s Oldest Lighthouse – Marblehead has been an iconic piece of the Lake Erie landscape first light back and 1822. Go Back in Time with a visit to Historic Downtown Cambridge nestled in the rolling hills of Ohio’s Appalachian region. Uncover Presidential History to find out why Ohio is known as the “Mother of Presidents”. Click here for more information. Taste a Hungarian hotdog at the world-famous Tony Packo’s Café in Toledo and browse the wall of more than 1,000 hot dog buns autographed by nearly every star who has come to town. 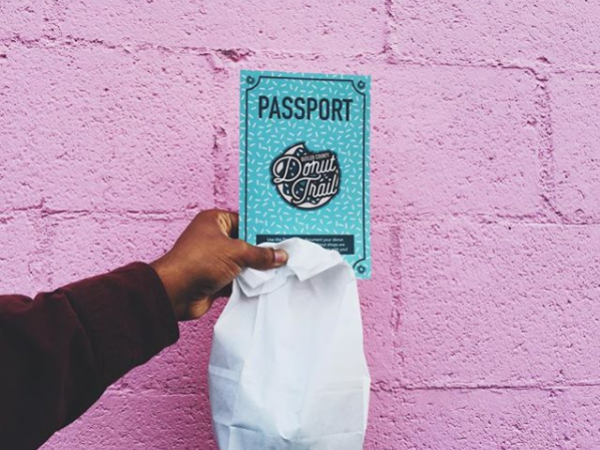 Devour the Butler County Donut Trail, one of Ohio’s new Adventure Trails complete with two new stops. Sip on Top of the City at Rhinegeist Brewery’s Rooftop tap room or join a corn hole tournament on the main floor. Forage for and discover native Ohio foods and chow down like an early Ohioan. Check out our guide on what to look for and where to find it! Complete your picnic with Ohio-made potato chips – Click here to view our snackable list of favorites. Brunch it up in Columbus at these delicious locales. Challenge yourself to complete the Columbus Ale Trail and no, you should not attempt all 41 stops at once. Slow and steady! Nom on Ohio’s Best Waffles – click here for our top picks! Make a pit stop at Grandpa’s Cheese Barn – with over 200 varieties of cheese this hidden gem is a must-see on the way to and from your travels. Become a connoisseur at one (or more) of Ohio’s 250+ wineries. Find a complete list here. Take a sweet tour of Spangler Candy Company, famous for their Dum Dum lollipops. Trolley ride tours are available Monday through Friday 10 a.m. to 4:00 p.m.
Pay tribute to the American Spirit by traveling the Darke County Whiskey Wine and Ale Trail consisting of three wineries, two breweries and Ohio’s oldest distillery. Eat Fresh at an Ohio Farmers’ Market and find your new favorite treat. Start with West Side Market in Cleveland or Pearl Market in Columbus. Taste Your Way through the Eaterarian Trail in Marion – a collection of nine authentic eateries with great food and an unassuming atmosphere. Complete your potluck with an Ohio Recipe like this one for chocolate buckeyes and this one for home-made, Skyline-style chili. Eat on the go with some of Ohio’s top food trucks. Here is a list to get you started. Become a Plant Parent by visiting a nursery like Oakland in Delaware, or a retail store like Stump in Columbus. Channel Your Inner Lumber Jack with an axe throwing adventure at Cleveland’s Class Axe. 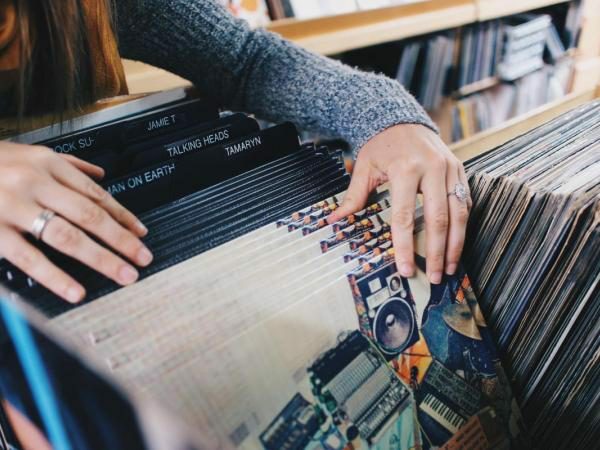 Get Nostalgic and pick up some vinyl at an Ohio record store – here is a list to get you started. Visit the World’s Largest Horseshoe Crab in Hillsboro. Don’t knock it ‘till you’ve tried it. Try out the Brewed on the Bikeway Trail in Athens where you can peddle your way from brewery to brewery. Make some Feathered Friends at the Ohio School of Falconry. Brave the Shawshank Trail in Mansfield and explore the 15 authentic filming sites of the famous movie, Shawshank Redemption. Gather the Gang for a Pedal Wagon – choose a route and pedal your way through happy hour! Click here for more information. There you have it! How many can you check off this summer? For more joy, excitement, wonder and summer fun, Find It Here at Ohio.org.